n this particular case one word explains it all - Wadia (www.wadia.com). This iconic American brand for years has been synonymous with high-end digital source, as it specialized in Compact Disc players, both integrated and separates. Later they were joined by SACD players, for example, Model 581. Wadia Players used the best available transports, i.e. VRDS and then VRDS-NEO from Teac, but it was DAC section of their Players that was the pride and joy of their designers. Even more so because they were always accompanied with the variable output featuring digital volume control. The process developed by DigiMaster included a digital signal filters, signal's upsampling (also adding bigger bit depth) and adjusting the volume. The latter requires a reduction of bit resolution, thus upsampling was necessary so that the signal from a 16-bit CD, and late also from 24-bit signal from SACD, could be restored without loss. However, Wadia's engineers believed in the principle of a short signal paths, and eliminating the preamp section significantly shortens it (not to mention cost reduction involved). It is no secret that - founded in 1988 - Wadia did really do so well in the XXI century. Huge money invested in Power Wadia DAC 790, a digital amplifier, or actually a high power DAC, did not bring an expected return, because the project was introduced ahead of proper time (2000-2002, it was the first digital amplifier in the world). Sale of the company to an external investor was only a matter of time. In 2011 the company was bought by the Italian capital fund Fine Sounds, which previously acquired such brands as: Sonus Faber (2007) Audio Research (2009) and Sumiko (2010), and a year after Wadia also McIntosh (2012). The change of ownership caused a change in business profile. The designers, who were not able to accept that fact left the company and founded their - Exogal. Its name was created from the "exo" meaning "out" and the abbreviated form of the word "galaxy" (source: Vade Forrester Auspicious Debut , "The Absolute Sound" June 24, 2015). In other words, they make products "not of this Earth." 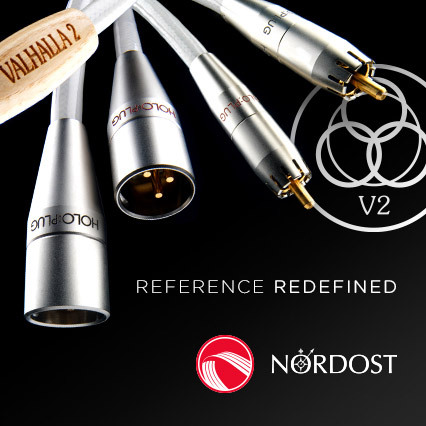 The company was registered in 2013, not by rookies but by veterans of audio world. The people behind the brand are: Larry Jacoby (Vice President of Manufacturing Engineering), Jeff Haagenstad (Chief Executive Officer), Jim Kinne (Chief Technology Officer) and John Larsen (Chief Operating Officer). Technical brains of the operation is Jim Kinne, author of such iconic devices as "decoding computer" Wadia 27, Wadia 270 CD transport and Power DAC Wadia 790. They declare that they want to produce devices delivering optimal listening experience and those that just measure well in the laboratory. Products have to be designed by them from the scratch using latest technologies. They are to be manufactured in the USA, as close to their headquarters in Minnesota as possible. They have to be small and nice looking. They are to have an open architecture, allowing simple software upgrades whenever these are available. And they have to be easy to control, eg. through your home computer wireless network. Their first product is a digital-to-analog converter, Comet. Recently company presented also its complementary, digital amplifier, Ion Power DAC. It is pretty peculiar and it features only a HDMI input to which the signal can be sent only from Comet, in digital form. But back to the DAC. It is a small, great-looking digital-to-analog converter, which offers a variety of inputs: asynchronous USB (32/384 | DSD128), AES / EBU (24/192), S/PDIF (24/192), Toslink (24/96) and analog RCA. In the latter signal is converted to digital 24/96 signal. This is necessary because Comet is also a preamplifier - the analog outputs signal level can be adjusted in 100 increments and the adjustment is done in the digital domain. The heart of this device is the six-core DSP featuring software written in Exogal. The company does not want to reveal exactly what does it do, but with a high probability we can assume that it includes digital filters, performs upsampling and so on. There are two relevant digital to analog converters: TI PCM 4104 for the main outputs and TI PCM 5122 for the headphone output. As, however, says Jeff Haagenstad, CEO of the company, they do not have too much to do, because most of the activities that usually take place in the modern digital-to-analog converter chips are actually performed by DSP before signal is sent to DAC. I do not know if you remember, but once it was standard - DAC consisted of two elements: a chip with digital filter and another one performing actual D/A conversion. There are two analogue outputs - a pair of unbalanced RCA outputs and a pair of balanced XLRs. Both outputs can work simultaneously - RCA can be reprogrammed to work in stereo mode, as output for a center channel (I assume that this is an option for multi-channel systems – company's materials are not unambiguous in this respect) or for a subwoofer. Then one can set a delay of the signal for this output, as it is common with AV receivers. The device can be controlled in two ways: with a remote or by an application for a smartphone or tablet. Remote looks like one for a garage door, but it is quite convenient to use – one can adjust volume, switch inputs and outputs (main or headphones) and activate "mute". Unlike most other applications in this case signal is not completely muted (that's how the "Attenuator" mode in Accuphase amplifiers works). The Exogal Remote App is designed for smartphones and tablets with Android (4.3 and above, with support for BLE) and Apple (iPad, iPhone 4s or later, iPod Touch). Comet is also a headphone amplifier - the headphone output socket (a large jack 6.3 mm) sits on the side of the device and it features a separately adjustable volume and a separate DAC, a different one that the one delivering signal to the main outputs. Comet, if we use USB input, accepts almost all types of files available on the market; other inputs are limited to PCM signal. The concept of "Hi-Res" or "High Resolution Audio" familiar to this device then. Yet, the main strength, or main focus of people who created this DAC were always Compact Discs (and PCM signal). Even when the SACD entered the game, signal from it was trans-coded to 88.4/24 PCM. Nowadays, when the "hi-res" is a so catchy phrase opening the hearts and wallets of customers, telling the truth, or what one really thinks is an act of courage, especially if it is said by a small company. And yet – on the manufacturer's website we can find a paragraph entitled: "Is the High-Resolution Digital Audio for You?". Which in itself is not unusual - 99.999999% of manufacturers' answer is: "yes, it is." Exogen answers this question in accordance with their conscience, "Frankly, that's not for us to say." Why? - My personal answer would be:: because it (16/44,1) is still the best-sounding digital format. As the guys from Exogal say: "even if you use more "low-quality" formats such as CD resolution (44.1kHz sampling rate with 16-bit depth) our processing algorithms will make your music sound as good as it can possibly sound”. So during the test CD format was my priority. This was so easy for me as this format always is my priority. The beautiful reissues of King Crimson catalog on Platinum SHM-CD in 7" format, with boxes being a perfect reproduction of the printing of the first Japanese analogue editions (the first two editions, i.e. two covers for each disc! ), the first UHQCD discs (Ultimate HiQuality CD), with, among others, King Crimson concert, many albums prepared by Mr. Winston Ma, also ones with personal dedications for me, which I listened to pay tribute to and thank him for everything he did for us - rest in peace my friend! - all these wonderful releases were my primary signal sources for Comet. Lektor AIR V-edition, with Philips CD Pro2 LF mechanism acted as CD transport connected with DAC using Acrolink Mexcel 7N-DA6100 digital interconnect. The device played in a system with an active tube preamplifier, Ayon Audio Spheris III, because I think the high-end preamp in the system is necessary. However I spent also some time to assess the quality of volume control in Comet, connecting the balanced outputs directly to the inputs in the power amplifier Soulution 710. 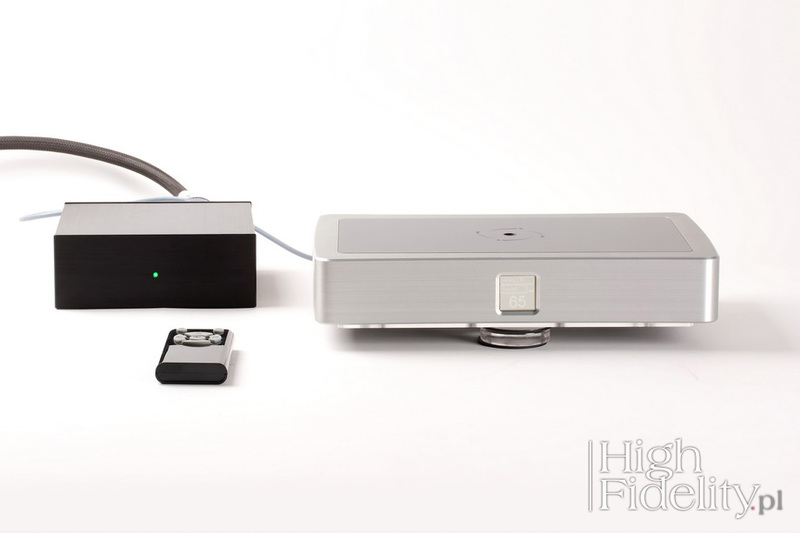 A separate test was conducted with headphones driven directly by this DAC. Right at the beginning it turned out that the headphone amplifier had too low power in order to drive HiFiMAN HE-6 properly, which happens to be a standard for most headphone amps. 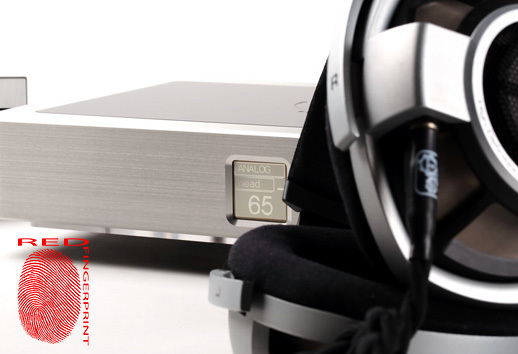 So for the test I used Audeze LCD-3, AKG K701 and Sennheiser HD800 - primarily the latter. Audeze and Sennheiser played with Noir Hybrid HPC Forza Audio Works cables. Compact discs were demagnetized prior to listening using Acoustic Revive RD-3.